As promised at the beginning of last week, we’re proud to reveal the full line-up for tomorrow’s Oozeball release! 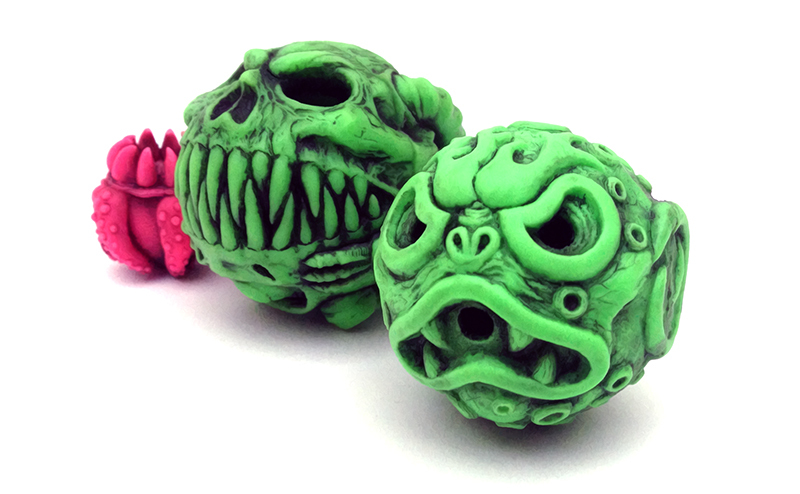 Designed/sculpted by Zectron and produced in a super-bouncy urethane rubber by Tru:Tek, the hugely popular Madball/Ooze-It send up will be touching down in ’open run’ editions of both “Bootleg Neon” and “OG” vintage green for $25 each, a batch of 10 in “Midnight” black again priced at $25, plus a super-limited run of custom hand rubs- available either on their own at $30, or as a set with the Deathball for $80… But that’s not all! Intentionally obscured in the above promo image, there will also be a number of unique versions too, including one-off, never to be repeated colourways and custom vintage-style hand sprays. 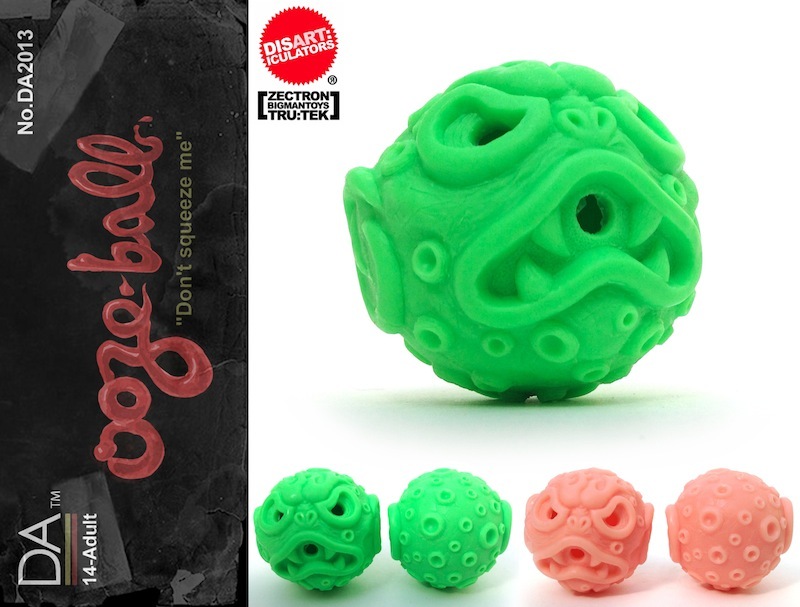 Heading to the Man-E-Toys store this Friday, November 22nd at 9pm London time, be sure to head over early to avoid disappointment! 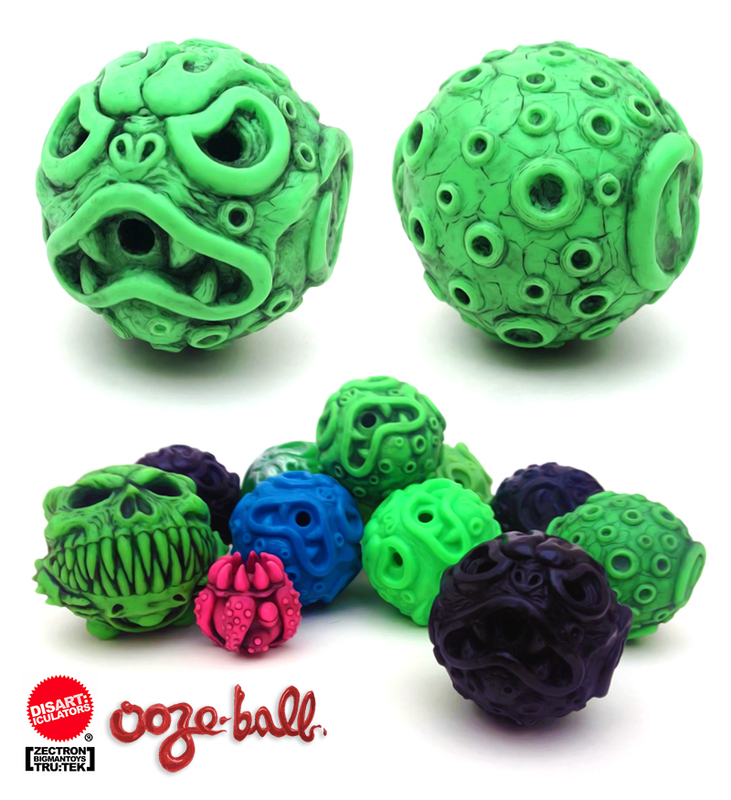 NOTE// Until the kinks are worked out with the fully playable Oozeball (softer rubber, complete with OOZE! 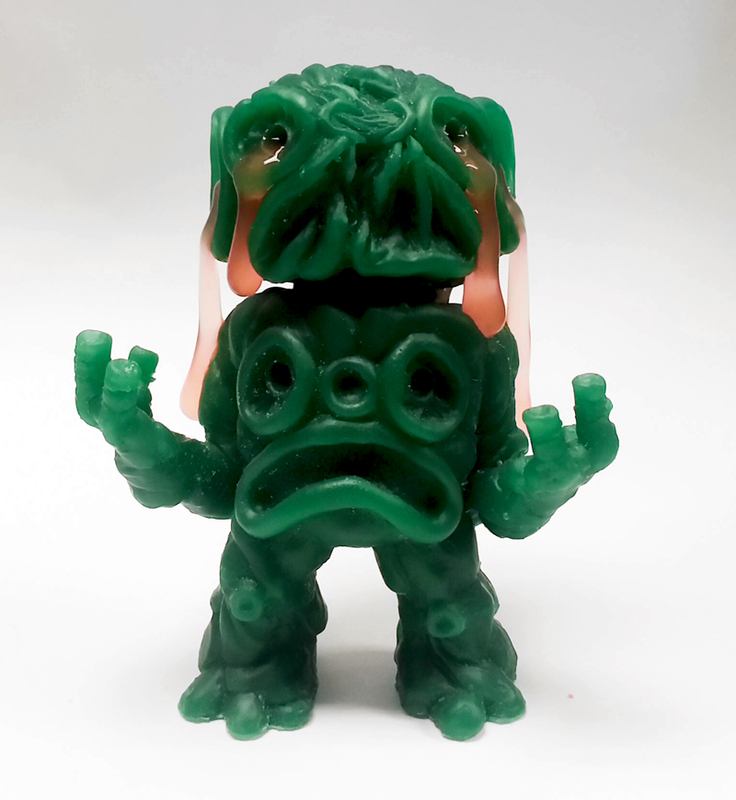 ), these will remain in the same harder “display only” rubber used in previous releases.